Tijuana architect Amorphica restores public stairs and other small public spaces, improving quality of life, little by little. In President Obama’s last year, he’s bringing activists to the White House lawn on October 3. Inspired by SXSW, the White House event will bring together creators, innovators, and organizers who to improve daily life in the U.S. Nominate speakers by Sept. 10. Pedro Gadanho, director of Lisbon’s new Museum of Art, Architecture and Technology (MAAT), speaks about how architects and institutions might bring social change through design and curation. Matthew von Ohlen is the 12th cyclist killed in NYC this year. The day after he was intentionally mowed down in a bike lane in Williamsburg, NYPD issues warnings to cyclists. Paris inaugurated its first bike highway, the first section of a planned 28-mile network of bikeways that will cross the city by 2020. In 2015, the city voted unanimously to spend €150 million ($164.5 million) on expanding and improving its biking infrastructure, including REVe (which translates to “dream” in French). During the Euro Cup in France, authorities have banned outdoor screens on terraces, out of fear of terrorist attacks. The only places where people can watch the games in public are city-organized fan zones. The City of Paris sets up a temporary fan village (capacity 90,000) with screens, hammocks, umbrellas, food, and music, in Champs de Mars at the foot of the Eiffel Tower. Food Forward is an urban food-gleaning organization that deploys volunteers to donors’ trees to not let fruit go to waste. Dutch designer Joris Lam creates high-tech devices that glow green when air quality levels are optimum (and provides free wifi). Former NYC Department of Transportation Commissioner Janette Sadik-Khan’s new book Street Fight: A Handbook for an Urban Revolution charts the recent and dramatic transformation of New York’s public spaces. Leading tactical urbanist Mike Lydon cites 10 cities with Open Streets, programs to create temporary car-free zones for cyclists and pedestrians to enjoy. In creating new public spaces, planners, architects, designers, artists, policymakers and other initiators would do well to begin their work by looking back to historical acts of placemaking. Los Angeles’s Department of Transportation (LADOT) enlists a sound artist to bring attention to the city’s traffic deaths. Titled Reporting from the Front, the 2016 Venice Architecture Biennale declares a social purpose for architecture under the direction of Chilean architect and Pritzker laureate Alejandro Aravena. As nations everywhere debate policies toward asylum-seekers, the curators of the German Pavilion present an exhibition focusing on ways to integrate and house migrants in German cities. On Jane Jacob’s 100th birthday, critics pay homage to the author of The Death and Life of Great American Cities. Los Angeles announces it will officially launch a bikesharing program on July 7, with up to 1,000 bicycles available at 65 downtown locations. Jane Jacobs was ahead of her time, predicting negative trends such as rising inequality, the erosion and decay of key social institutions, and the downsides of globalization. The success of pedestrianizing Place de la Republique in 2013 has prompted the city to redesign Place de la Nation, Bastille, and other major traffic crossings. “The art of architecture requires not just making attractive buildings but providing citizens with generous, creative, open, inviting public spaces. And one of the basic truths of urban life turns out to be that there’s a nearly insatiable demand for such places,” writes the New York Times architecture critic. Two women from Ahmedabad – Saumya Pandya Thakkar and Shakuntala Pandya – have come up with an innovative design for a Zebra Crossing that can potentially save hundreds of lives. Their version, which will now be used in intersections all over the state, is painted in such a way that makes it appear to oncoming traffic like a road block, which is expected to force drivers to slow down. New York City’s Landmarks Preservation Commission unveiled Discover NYC Landmarks, an interactive map which allows users to explore all the city’s landmarks in one central location. The Play Everywhere Challenge is a national competition that awards $1 million in prizes for the best replicable, scalable innovations in city redevelopment and design that help make play easy, available and fun for kids and families. Enter now! The rise of freelancers has sparked new ways of working. One concept, Hoffice (home + office), invites people to transform their homes into a temporary coworking spaces. Since the 1990s artists and institutions have been under mounting pressure to quantify the social and political benefit of their art practices. This session considers the practical implications of managing and curating “socially valuable” art in galleries and museums. Furthermore, it reflects on the critical issue of competitive arts funding and the increasing market pressures on today’s artists to embrace social value. It interrogates the potential theoretical and ethical dilemmas and contradictions attached to the institutionalization of social art practice, for both the artist and the organization. While community arts projects of the 1960s and 1970s drew inspiration from the spirit of counterculture movements—firmly situating their practice in a counterinstitutional framework—institutions and practitioners today find themselves beholden to the rhetoric of social value for their very legitimation. 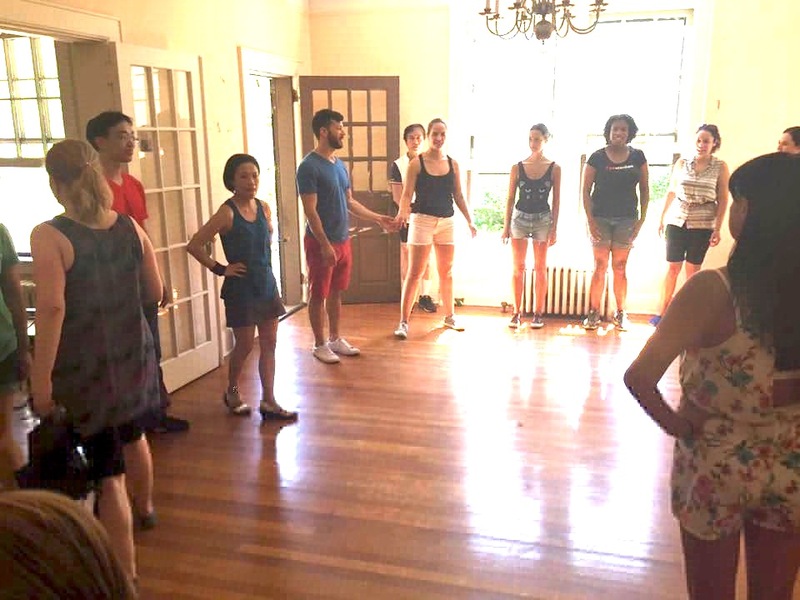 What happens when social practice becomes spectacular? We are interested in case studies of social practice in different contexts, as well as theoretical considerations of the social value of art. With an evening of provocations and discussion, Theatrum Mundi launched Designing the Urban Commons, an ideas competition calling for new ways to stimulate the city’s public and collective life. Three groups engaged in live projects in London and Paris presented their work, describing how commoning emerges through the spaces they have created or occupied and also examining the issues and opportunities presented by commons as an approach to urban design. We strongly encourage anyone considering entering the competition to, as well as all those concerned by the disappearance of spaces for common interest in London, to listen, download and share. The competition brief here asks for existing land, architecture, or infrastructures in neighbourhoods across London to be re-imagined as common spaces, or for new urban commons to be carved out in the city or online. Commons are not static pieces of architecture. We are seeking designs through which the social act of commoning could take shape, by enabling citizens to co-produce urban resources from culture & knowledge to housing, energy or democratic processes. The phrase “tactical urbanism” came into use just a few short years ago, coined by a group of young planners and activists and popularized by an online guide to phenomena such as guerrilla wayfinding, pop-up markets, and DIY traffic-calming. Many of those nimble urban-improvement techniques, which often originated in the activist community, have since gone mainstream. Now the movement has its own glossy print book, Tactical Urbanism: Short-Term Action for Long-Term Change, co-authored by Mike Lydon and Anthony Garcia. A Glimpse Into The Future of City Halls? Amongst all the Fitbits and Jawbones, the Glass and the things, this year’s SXSW featured a small, but perfectly formed cluster of events about public spaces, neighborhood platforms and the need to re-connect people with each other and their environment. The city has made a habit of soliciting insight on municipal projects from its well-educated residents—but with strict guidelines. Makeshift homeless camps dot the concrete banks along the Tijuana River, where 150,000 immigrants have been deported over the past two years. A few hundred feet away from the area, known as El Bordo, a glimmer of hope is unfolding: Thirty wooden planters overflowing with freshly planted beets, kale, lettuce, tomato, arugula, onion and other vegetables. Bordofarms is an innovative program launched by young activists and entrepreneurs who want to help the deportees and clean up Tijuana. Buenos Aires, Argentina-based artist Raul Lemesoff built the Arma de Instruccion Masiva, or the Weapon of Mass Instruction, a tank-library hybrid mobile sculpture that is used to distribute books throughout Buenos Aires and the rest of Argentina. The project is run solely as a method to distribute books freely. Donations of money or books can be coordinated through the project’s donation page. Graham Larkin discusses the MOMA exhibition Uneven Growth: Tactical Urbanisms for Expanding Megacities with Pedro Gadanho, the show’s Curator, and Mike Lydon. The audio recording clarifies the differing definitions of “tactical urbanism” and follows up and on Lydon’s critique of the show that was written in his Planetizen blog post. Sibling duo Enrique and Vanessa Frías-Martínez use social media networks as a tool to generate useful information for urban planning and land use identification. Platforms such as twitter, that mark user feeds with geolocation tags, have the ability to capture mass amounts of social activity and link it to a geographic region. This allows planners to gather provincial data in order to plan future land use accurately based off of current patterns. The Museum of Modern Art (MOMA) has infamously been exhibiting, critiquing, and supporting Architecture since 1932. Most recently, MOMA curated an exhibit to represent the social responsibility of architecture and showcased projects that revolve around solving “some of our world’s most severe problems”. From slum-clearance proposals to the development of floating villages, the exhibition reveals tactical design solutions for the physical qualities of social injustice, income disparity, and environmental degradation. The show is made up of six proposals by different architecture firms that focused on six different cities. Design Corps and Social Economic Environmental Design® (SEED) Network announced the Fifth Annual SEED Awards for Excellence in Public Interest Design. Recognizing design projects with exceptional social, economic, and environmental impact, the SEED Awards represent the forces needed to create truly sustainable projects and positive change in the world. The 2015 SEED Award Jury—which included Susan Szenasy, Jason Roberts, Wes Janz, and Cathy Lang Ho—selected six winners and five honorable mentions. Winning teams each received $1,000 honorarium and an all-expense-paid trip for one representative to present at the annual Structures for Inclusion SFI 15 conference, taking place April 11–12, 2015 in Detroit, MI. 2015 is the year that the NEA will celebrate its 50th Anniversary, and it has us thinking about where we’ve been and where we are going with arts-based community development in this country. The Community Development Investment Review, co-edited by the NEA’s new Senior Deputy Chairman Laura Callanan, includes articles and case studies by the NEA and some leading thinkers from the arts- and place-based fields. What most excites us about the new issue of SFFed’s journal is that some of the articles are by true leaders of the community development fields, including Xavier Briggs from the Ford Foundation and Ben Hecht from Living Cities. To have these incredibly respected voices writing about the importance of artists to communities is a breakthrough and a great kick-off to 2015 and the next 50 years of creative placemaking. In recent years, city-permitted parklets have materialized worldwide in places like Philadelphia, New Orleans, Seattle, Chicago, Mexico City and Auckland, and New Zealand. (In cities with cold weather, sponsors of parklets are typically required to remove them in winter.) This year, the Los Angeles metro area will welcome four of them, sponsored by local business improvement districts and chambers of commerce. In San Francisco, parklets are open to the public, but they’re typically commissioned by small businesses hoping to attract customers, brighten streetscapes and create gathering spaces. Part One: Should MoMA Tout Tactical Urbanism(s) as a Solution to Uneven Growth? Tactical Urbanism is a global movement owned by no one, that can involve anyone, and at its best, seeks to improve the lives of everyone. This final assertion—that Tactical Urbanism can be applied in settings where equity gaps loom the largest—is the subject of choice in the Museum of Modern Art (MoMA) exhibit Uneven Growth: Tactical Urbanisms For Expanding Megacities. Selected for the challenge are six international design “collaboratives” assembled by architect/curator Pedro Gadahno, who tasked each group with developing speculative proposals that tackle notoriously knotty urban development issues in Mumbai, Hong Kong, New York City, Lagos, Rio De Janeiro, and Istanbul. Should Cities Give Hackathons Another Look to Improve Digital Infrastructure? A 36-hour coding session in Boston recently helped revamp the city’s permit system. To address the problem of affordable student housing, in Deventer, the Netherlands, students live rent-free in a retirement home, in exchange for keeping the residents company. Uneven Growth: Tactical Urbanisms for Growing Megacities, opens at the Museum of Modern Art. Curated by Pedro Gadanho, the exhibition invited six teams of architects, planners, and scholars to propose “urban planning solutions that draw on existing (and not always legal) infrastructure and patterns in human settlement.” Each team spent 14 months on scenarios for one of six cities: New York, Rio de Janeiro, Mumbai, Lagos, Hong Kong, and Istanbul. Beijing has installed 34 machines in subway stations which accept empty plastic bottles and spits out public transportation credit or extra mobile phone minutes. Urban swimming has a long history, and once made the riverbanks of Paris, Rome, Copenhagen, and other cities, important social spaces. With pollution and increased regulation, swimming in urban rivers has largely disappeared, but there is a new movement to restore swimming as an urban activity. The Ovarian Psyco-Cycles—a “womyn of color bicycle brigade, cycling for the purpose of healing our communities, physically, emotionally, and spiritually”—ride the streets of LA in search for public places that are safe for women. During the rides, participants discuss injustices while exploring contested neighborhoods in an effort to “celebrate their own communities as destinations and inspire greater civic engagement.” The Ovarian Psyco-Cycles indirectly affect and therefore empower members of other marginalized communities, particularly people of color. Their movement raises awareness of entire public spaces and the various marginalized communities that reside within it. Art in Odd Places (AiOP) is celebrating its 10th anniversary with an exhibition curated by Claire Demere (Sept. 13–28), on the second floor of Building 403, Colonel’s Row; and two days of free programs organized by Meredith Degyansky (Sat. and Sun., Sept. 13–14, 1:30–4:30 pm). New Orleans-based design firm Crookedworks, featured in S.I., will lead an all-ages DIY workshop on how to build beneficial bird habitats from salvaged urban debris on Sept. 13th from 12 pm – 5 pm at Governors Island. A conference on “Making the City Playable” will be held in Bristol on 10 and 11 September 2014. In opposition to the smart city, the playable city is “people-centered” and uses the notion of play as an urban intervention to address problems created by cities. Launching on September 3rd at the League of California Cities Conference in LA, OppSites is an online platform where investment communities can easily access local development priorities. Through this site, cities and investors can easily work together to fulfill unmet economic potential. So far Oakland, Salinas, Lincoln, San Carlos and Dublin–all in California–are signed up as featured cities, with the goal of getting many more cities to join in September during OppSite’s official launch. Several questions and concerns arise when thinking about how new music plays into the agenda of creative placemaking. While place is often understood as comprising of tangible locations, new music–purportedly temporal–has an equally if not greater impact on the creation and existence of place(s). Despite this, there is a severe lack of music-based organizations that are selected to receive grants as part of the creative placemaking initiative. Alternately, those that are selected must forgo the “artistic purposefulness of new music” in place of capitalistic endeavors, for “the ultimate aim of this policy project is robust economic growth.” How can creative placemaking expand its definition of place to include new music? More importantly, how can arts grantors in general allow the organizations they fund to hold onto their “artistic purposefulness”? The Van Alen Institute is hosting a design competition inviting applicants to propose ways to reuse vacant land in New Orleans. The winners will be announced in October 2014 where three teams will be awarded $15,000 to realize their proposed projects. Members of the jury include David van der Leer—co-curator of Spontaneous Interventions (S.I. ), and Terry Schwarz—director of the Cleveland Urban Design Collaborative that runs Pop Up City, which is featured in S.I. The advisory committee includes Stephen Zacks, founder and director of Flint Public Art Project, which is also featured in S.I. Can Creative Practice Gentrify Creative Practice? Are art institutions contributing to the redefinition and subsequent slow-paced downfall of community-based arts in Los Angeles? This article explores the “hegemonic power over creative imagination” that art institutions have over artists’ community-based initiatives. Ten years ago artist Jessica Findley organized the first Aeolian Ride, outfitting 52 cyclists in inflatable costumes and creating a moving, human- and wind-powered spectacle. This year’s ride culminates at S.I. site, Building 403 on Colonel’s Row. Guests are invited to join the party, starting at 3 pm, with music and snacks (see the Calendar listing for more details). Planetizen has over 60 hours of online courses for budding urban planners and designers. Don’t miss “Tactical Urbanism: How It’s Done,” led by Mike Lydon, author of the “Tactical Urbanism Handbook. Walk [Your City] has teamed up with Blue Cross Blue Shield to implement its project in three cities in North Carolina, as part of the BCBS’ Walking Works program. Visit www.walkyourcity.org to see how you can start or sponsor a campaign to encourage more walking your own city! Now on the second floor of Building 403 are presentations by 596 Acres, Center for Urban Pedagogy (CUP), DSGN AGNC, BroLab, and Justin Allen—all featured S.I. artists. 596 Acres’s Urban Reviewer maps over 150 plans adopted since 1949, which have affected 15,000 lots throughout the five boroughs. CUP’s Making Policy Public posters use powerful graphic communication to disseminate information about complicated policies, addressing a range of issues including zoning, food access, water safety, and more. DSGN AGNC has created an installation that invites visitors to share their experiences in New York. BroLab presents several recent projects that bridge design and art, emphasizing public interaction with their works and each other. 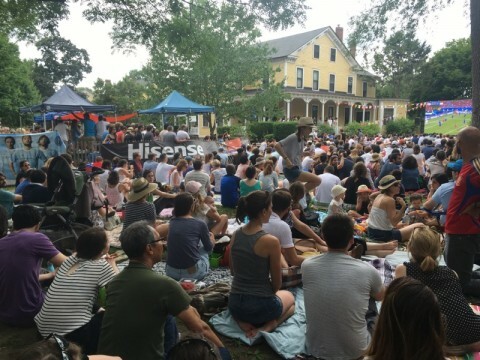 And Justin Allen has created a sculpture, Now You Have the Stage (installed on the house’s side lawn), a setting for people to convene and repose. The F-Train and the Staten Island Ferry were turned into zine factories for a few hours during the “MTA Zine Residency” last week — an unofficial program by Barnard College library to peacefully takeover the subway network as inspiration for zine-making. This Saturday (July 19), the Come Out & Play Festival turns Governors Island into a giant playground. 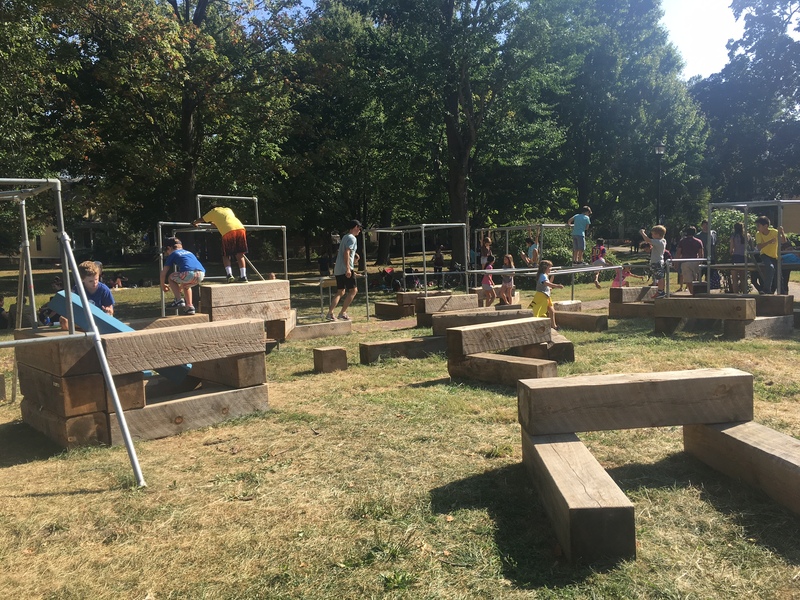 Featured in S.I., Come Out & Play invents big-city games that spark new social interactions in public space and helps participants rediscover the world around them through play. Games will be held on the Parade Ground (next to S.I), 11 am-5 pm). Join us at the S.I. site the weekend of July 19–20 to participate in James Rojas’ Place It! workshop. Participants of all ages are invited to play with blocks, toys, and other objects to model their ideal environments. Design for Social Impact offers a look at how designers, engineers, students, professors, architects, and social entrepreneurs from the Southeastern United States are using design to solve the problems of the 21 st century. The Center for Architecture presents a major exhibition and symposium about public space. Open to the Public: Civic Space Now examines the indispensability of public space to both effective urban place-making and lively social discourse. On Friday, July 11th, CNU-WI will be hosting a bike tour where participants will learn more about how the redevelopment and retrofitting of suburban-style development that has been booming throughout the Madison metro area over the past 18 months. Learn all about urban farming and how it is spreading across the USA and the world! Along with their documentary “Growing Cities,” filmmakers Dan Susman and Andrew Monbouquette have gathered a useful list of books, links and videos on how to start a farming revolution in your city. The live viewing World Cup is being enjoyed by many on New York’s Governors Island, which is now open to the public. The Governors Beach Club venue does not only provide a high-quality viewing of the game but, also, a tropical escape. Inspired by the city’s growing interest in reclaiming public spaces, these pop-up viewing events revolve around TVs placed on streets and stores that face sidewalks, vacant lots, and other public places, so that people can gather to watch the games together. The Knight Foundation is offering $1.5 million in winning projects over the next three years to make Central Corridor neighborhoods in St. Paul more vibrant. Apply for The Knight Green Line Challenge from now till July 24, 2014. The winner will be given a grant of $2,500 to develop the proposal into an 80-page, black and white, 7-by-8½-inch book, which will be published by Pamphlet Architecture, Ltd. / Princeton Architectural Press as Pamphlet Architecture 35. Register by August 1, 2014; deadline for submissions is September 1. Architect David Benjamin of The Living presents Hy-Fi, an example of “bio-design,” a structure composed of organic brick towers made of corn stalk and living root structures. Benjamin’s collaborative project with artist and engineer Natalie Jeremijenko, Amphibious Architecture, was featured in S.I. Art goes mobile to avoid New York’s high rents. Till June 29, catch a double bill of short plays performed in a theatre built inside a truck driving around the neighborhood of Williamsburg, Brooklyn. How to get the young involved in building cities? Try reaching them on social media or their mobile phones. In New York City, there is no shortage of places to catch a World Cup match. but this year, the World Cup will get its own island. Governors Island, for the first time, will host an official public viewing party, organized as part of Spontaneous Interventions‘ summer residency. The increasingly popular “tactical urbanism” movement, in which citizens bypass City Hall’s red tape to make immediate improvements to their neighborhoods, is a welcome display of energy and passion aimed at making cities better. Streetfilms created this informative behind-the-scenes video of The Better Block in Oak Cliff, Texas. This summer, the Uni Project will return to Governors Island in a partnership with all three NYC public library systems. One of the city’s ugliest alleys will be transformed into a vibrant slice of urban life Saturday, featuring a pop-up beer garden, a mural of aspens, landscaping, cafe seating, art projects and lots of local bands. Log-a-rhythm, a temporary art project enlivens the park site in anticipation of construction later this summer. The Associated Press published a highly cited feature on the explosive growth nationwide of tactical urbanism. Every year, we are sad to see Governors Island’s public access season close! Thanks to the wonderful staff of the Trust for Governors Island, particularly the program and events team, operations staff, ferry crew, and lovely folks at the Friends of Governors Island for everything they’ve done to make our work a bit easier. Thanks especially to Leslie Koch, who opened the door to us—and so many others—allowing us to share our ideas and build enthusiasm for unexpected activations of public space. After three years, we’ve also built strong relationships with our fellow Governors Island worker/residents (Earth Matters, GrowNYC, Blazing Saddles, Brooklyn ARTery, Figment, 4Heads, Play:Ground NYC, and others)—a true community of sympathetic souls. On our final weekend, House 20A will host an international congress of the leaders of the parkour world, organized by Jesse Danger and Caitlin Pontrella of the Movement Creative. Attendees will discuss topics about health, education, community leadership, and active environments. The Movement Creative crew conceived and built our awesome pop-up playset, which saw people of all ages balancing, swinging, leaping, hanging, and playing all summer. As the season closes, the playset will be broken down into smaller sections and migrate to neighborhood playgrounds and schools throughout New York City. Governors Island’s stunning historic grounds provided us the chance to extend the philosophy that has guided the development of the park as a whole—to be a place for free play, wild imagination, and unrestrained activity. Looking forward to next year! See Calendar or email info@spontaneousinterventions.org or more information about S.I. @Governors Island’s spontaneous gatherings at House 20A Nolan Park, including dance parties, concerts, idea shares, work-outs, parkour jams, and more. Many thanks to the sponsors and attendees of the Hisense UEFA EURO 2016 Official Viewing Zone in Nolan Park, Governors Island. We are pleased to have had such a fantastic turn-out! Many thanks to Governors Island for enabling us to transform Nolan Park’s shady lawns into a Euro Cup fan zone! We’ll post pictures of the event on Facebook.com/WorldCupPartyNYC. Please feel free to post your pictures to the page, or tag your photos #HisenseViewZone. 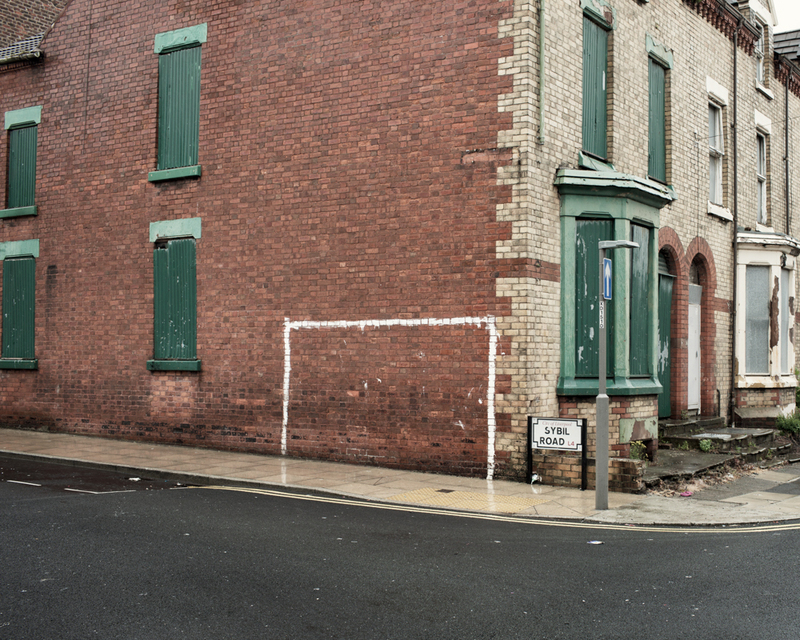 The exhibition The Beautiful Game, photographs by Simon Harsent, will remain on view through July. House 20A will be open on weekends only. 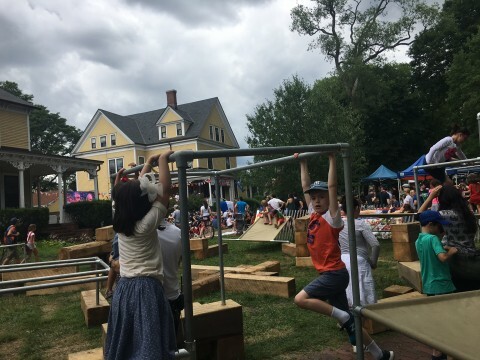 Visitors are invited to enjoy the lawns surrounding House 20A, with outdoor furniture, the Imagination Playground, and The Movement Creative’s pop-up parkour playscape (see our calendar for movement workshops and parkour jams). (New York, NY) — For the third year, S.I. (Spontaneous Interventions), an ideas platform that promotes community-driven actions to improve public space, is activating a site on Governors Island, New York City’s most captivating public park. A decommissioned military base, Governors Island, located in the heart of New York Harbor, has been undergoing a transformation in recent years, with a new park design by noted Dutch landscape architecture firm West 8, opened in stages beginning in 2014. The island has a unique approach to its public programming, inviting diverse cultural organizations as programming partners to bring exhibitions and events to its historic buildings and open spaces. S.I. is proud to announce the Hisense UEFA EURO 2016 Official Viewing Zone on Governors Island (June 10 to July 10). Following the success of S.I.’s FIFA 2016 World Cup Viewing Zone—the largest public viewing event in New York City and one of the few FIFA-permitted events in the U.S.—S.I. has partnered with Chinese electronics giant Hisense and other sponsors to bring a viewing party to the lawns of bucolic Nolan Park. Hisense, known for its cutting edge entertainment technology, is a global sponsor of the UEFA EURO 2016, which is taking place in France June 10 to July 10, 2016. Courtesy Hisense, S.I.’s installation in House 20A features several state-of-the-art smart TVs to provide an indoor alternative to watch the matches. The presentation includes Hisense’s ultra HD H8, H10 (check what numbers the medium and large screens are), and its newest innovation, the 4K Laser Cast Short-Throw Projector, a compact system with a 100-inch full HD screen. The S.I. Hisense UEFA EURO 2016 Official Viewing Zone is inspired by the massive fan viewing zones that appear in capital cities all over the world during important international sporting events. All over the world, cities give over their most important public spaces—their squares, plazas, parks, beaches—into vibrant common grounds where citizens come together and share a powerful experience. 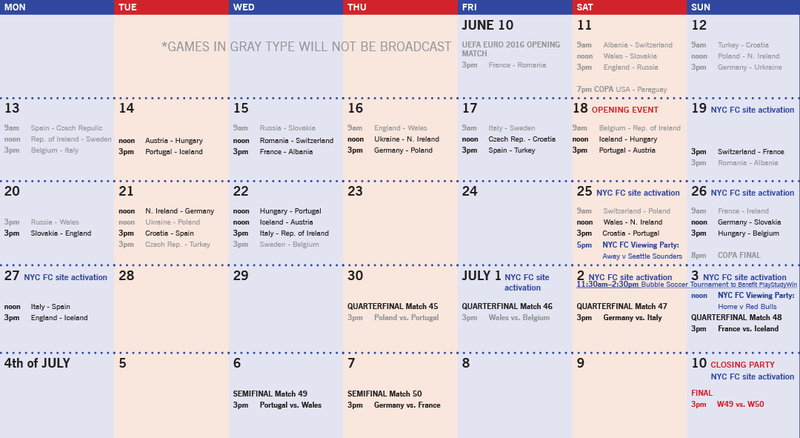 Games will be broadcast live (see the attached calendar for kick-off times). Additional sponsors of the viewing zone include New York City FC and ESPN, which also sponsored S.I.’s Official FIFA 2014 World Cup Viewing Zone on Governors Island, and Carlsberg, official UEFA sponsor and supplier of the S.I. Café and Beer Garden, and BML-Blackbird, a full-service technical event production company. The event received additional support from Picture Farm Productions, Associated NYC, LES Enfants de Bohème, and M-A-D. In conjunction with the Hisense UEFA EURO 2016 Official Viewing Zone, S.I. 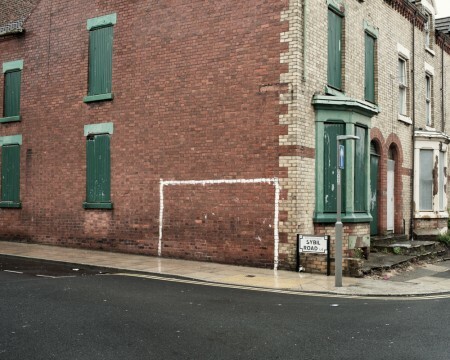 presents The Beautiful Game, photographs by Simon Harsent, a British artist who documents football pitches around the world as everyday places (through July). Harsent’s pensive photographs depict stadiums not as they are usually seen, as euphoric temples of action, but as backdrops to quotidian life. S.I. has partnered with the Movement Creative, a nonprofit that encourages healthy interaction with our cities through parkour and movement. The group has created a playscape and is offering free movement workshops and events all summer. For more info, visit: themovementcreative.com and the calendar section of spontaneousinterventions.org. On Saturday and Sunday, June 18-19, New York City FC will invite visitors to play outdoor games, such as a kicking wall and bubble soccer. On Sunday, June 19, French footballer Frédéric Brillant, who joined New York City FC earlier this season and most recently played with Belgian team KV Oostende, will make an appearance alongside other members of the club, sign autographs, and watch the France v. Switzerland match (kick-off at 3 pm). ESPN will give away commemorative Euro Cup posters. Opening weekend also coincides with Make Music New York’s Porch Stomp, an afternoon of acoustic folk, Americana, and bluegrass music (Nolan Park, noon to 5 pm); and Punk Island, a congregation of the punk rock community, on the Parade Ground (adjacent to Nolan Park, 10 am to 5 pm). For a full schedule of other events on Governors Island, visit www.govisland.org. S.I. originated as the award-winning exhibition Spontaneous Interventions, the official U.S. presentation at the 2012 Venice Architecture Biennale. S.I. has grown into an ideas platform that celebrates community-based actions to improve public space. Since 2014, it has is now one of dozens of organizations that offers free public programs to island visitors, which last season topped 500,000. Other program partners include FIGMENT, Brooklyn Public Library, Come Out & Play, Jazz Age Lawn Party, International Center for Photography, Children’s Museum of Art, New York Historical Society, and more. Ferries depart Manhattan (Battery Maritime Building) daily, and Brooklyn (Pier 6, Brooklyn Bridge Park) on weekends. Governors Island hosts numerous festivals and events through September 25. See govisland.com for a full schedule events and ferry schedules. Special thanks to Masha Berek at the Friends of Governors Island, Blazing Saddles, the staff of the Trust for Governors Island and HMS Ferries, Steven Olken at I-MAG, and the Consulate General of France.